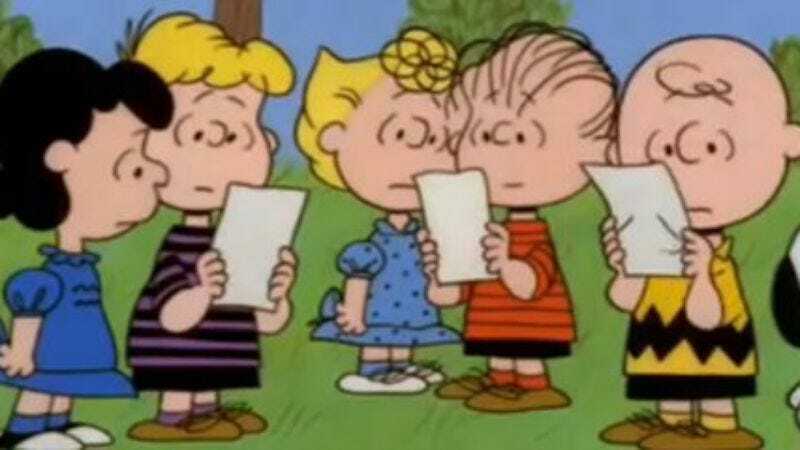 After more than three decades of making insurance companies seem more fun and positive through the use of America’s favorite lil’ depressives, MetLife has parted ways with the Peanuts gang, announcing they will no longer appear in its commercials. “We brought in Snoopy over 30 years ago to make our company more friendly and approachable during a time when insurance companies were seen as cold and distant. Snoopy helped drive our business and served an important role at the time,” said MetLife’s global chief marketing officer Esther Lee, a corporate wah-wah-wah-wah statement she delivered right before dumping Charlie Brown, Lucy, Peppermint Patty, et al out on the streets, just like their parents. The decision follows MetLife’s recent announcement that it will spin off most of its life insurance business to focus on its corporate clients, for whom “cold and distant” is a selling point. They certainly don’t have time for a bunch of cartoon kids imparting an adorable message about being financially prepared for the inevitability of death. Instead, the new MetLife will be represented by two blue and green blobs that it believes resemble an M.
According to The Wall Street Journal, keeping Charles Schulz’s relatively more vibrant blobs around cost the company around $15 million per year—a considerable amount of money MetLife can now throw back on the pile, alongside claims it never plans to pay out.